You know who you are. You are the one who leaves the store with a buggy overflowing with paper towel rolls and 2-liters of soft drinks. You are the reason the sale paper reads "Limit 10". Congratulations! You are the one who has managed to consolidate the majority of the month's shopping into one trip, saving you time AND money! I can certainly appreciate the time and effort that goes into bulk shopping because I'm guilty of it myself. But what happens when you return home with all of your purchases? Where do you put everything? How do you store it all without turning your home into a mini-market look-a-like? 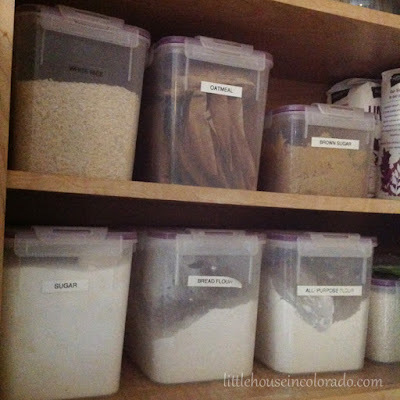 Storage cabinets, usually used in the garage for gardening supplies and tools can easily be converted into a pantry for excess cereal boxes or soup and veggie cans. Before you start your shopping, be sure you have a list of everything you need. It's a good idea to plan many menus in advance so you're not stuck in the middle of cooking dinner when you realize you've forgotten a couple of ingredients. Regularly check circulars and weekly ads for specials. Be sure you have your loyalty cards with you. Reusable shopping bags with the flat bottoms are great for lining up in your cargo area because of their stability when packed correctly. They can also hold a LOT more than plastic bags and they are strong enough to not have to double bag. If you have several stops to make, or if you live a long way from your bulk buying store, keep a cooler in the trunk with some freezer packs to keep cold or frozen items from getting too warm. Your shopping trips can be make easier with the use of grocery bag clip holders. Carry multiple grocery bags in one trip without any discomfort. These are especially handy for heavy plastic grocery bags that seem to dig into your fingers when you're carrying them. Heavy-duty metal shelving, similar to those used in restaurants for stock, can be used in your garage to store excess supplies. 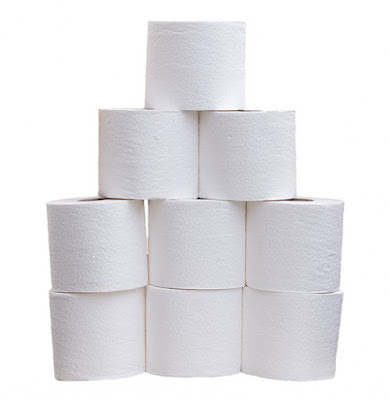 You can minimize the amount of toilet paper that has to be stored in your garage by having a toilet paper reserve in each of your bathrooms. This can be in the form of a small storage cabinet or canister, an over-the-tank roll holder, or simply a basket on a shelf. They greatly reduce the chance that you'll be the one caught with no toilet paper when you need it. Potato chip bags and other snack bags can be kept in a plastic storage tote in the bottom of the pantry to reduce the chances of the bags getting crushed. Store 5lb bags of flour and sugar in plastic containers sized to hold the full amount of the package. I recommend these containers by SnapWare. Extra bags can be stored in a weathertight storage box or in food-grade buckets with gamma lids. If you buy large bags of flour, sugar, rice, etc like those found at Sam's Club and Costco, you can put those into the food-grade buckets with gamma lids or divide them into half-gallon glass mason jars which then have the option of being sealed with a FoodSaver and jar attachment. You will need the wide-mouth jar attachment to seal half gallon mason jars. If sealing finely ground foods like flour, place a coffee filter on top of the food before placing the metal lid on the jar and sealing. This prevents food particles from getting caught on the rim preventing a seal. My favorite place to buy the half gallon mason jars is Ace Hardware but you can also sometimes find them at some grocery stores, as well as some Walmart or Target stores.